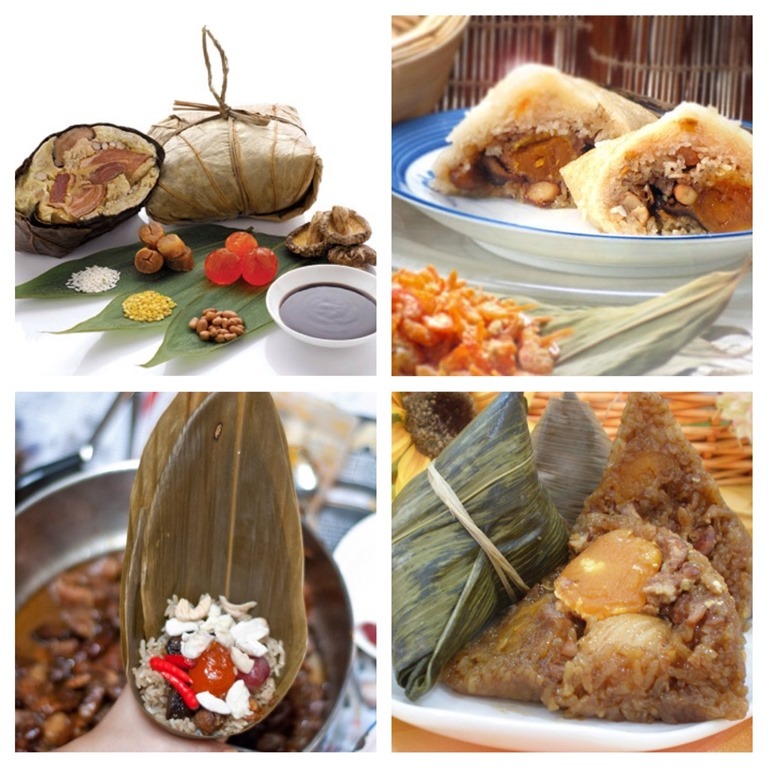 Rice dumpling or “Chang” is one of the traditional delicacies that are well loved by the Malaysian Chinese and Singaporean Chinese communities. However, nowadays, most families do not really wrap their own dumplings at home. They will buy the Chang in shops, restaurants or even supermarkets. 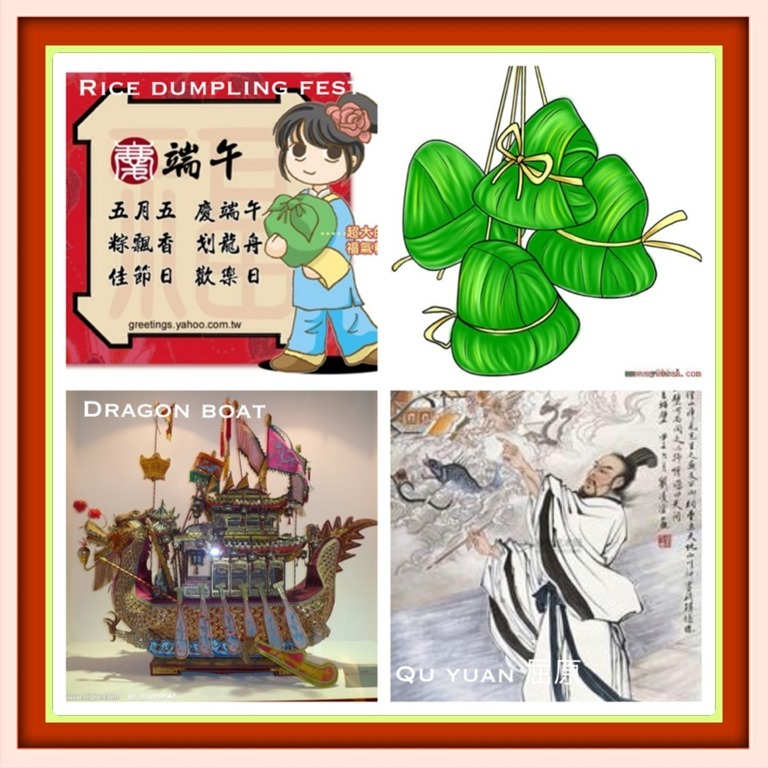 The price of the Chang will gradually be pushed upwards by another 100% by the date of the Rice Dumplings Festival (or Dragon Boat Festival or Duan Wu Jie 端午节). Two weeks before the Rice Dumpling Festivals, assuming the price per rice dumpling is SGD 1.50 before the increase, the seller will increase 10cents per day and it will become to SGD2.90 by the time of Festival. This price is grossly underestimated and actual prices can be in the range of SGD3-4 per rice dumpling from a more reputable shop to SGD 5-6 from posh restaurants. WHY SUCH A HIGH PRICE PREMIUM FOR THE CHANG? It was a sad fact that peoples of my age are not really keen to make the chang themselves. Chang was able to command a high price premium because of the basic economic laws of demand and supply. There are lots of demands for Chang especially near the Rice Dumpling festival. However, supplies were limited to a few Chang shops since most families are not willing to prepare their own Chang. The increase of household disposal income over the years and the price of Chang is just a small portion of their income. Due to above the reasons, most families are not willing to wrap the Chang! Traditional preparation of Chang can be a laborious process. All ladies in the family were called to help with the preparation. 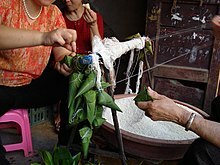 In fact, families and extended families (aunt) or even neighbors may agreed on one day to prepare the Chang together. They will take 1 day for the preparation of the filing and another day for the wrapping and cooking of Chang. The first day will usually involve the cleaning of the leaves for wrapping, soaking of glutinous rice, the dicing of meats, mushrooms and other ingredients and frying the filings for next day’s wrapping. Early in the morning (may be 4-5 am) in the morning, the wrapping will begin and when a bunch of Chang is ready (about 20-30 Chang depending on your pot for boiling), the boiling or cooking of Chang begins This will take another 2-3 hours per bunch depending on the size of the Chang. By noon, usually, all Chang will be wrapped and all Chang will be cooked by 4pm – 5pm in the afternoon. The ladies will share the results of their hard works (Chang) between themselves and bring their portion back to their respective families. Traditionally, they are using big biscuits tin and boil under a kerosene stove. The tin is specially made fro this purpose only. Don’t you think so after the Chang preparation, the ladies in each families shall be closer to each other due to the need of communications. I would deemed this as a family gathering or family “unity” exercise! Learning how to wrap the Chang is definitely something that I would like to promote among the younger generations. With the various kitchen equipment and aids, the process of preparing the Chang can be shortened considerably and I hope readers will try the short cut method that I will share with you in Part II. as a gift to relatives and friends. 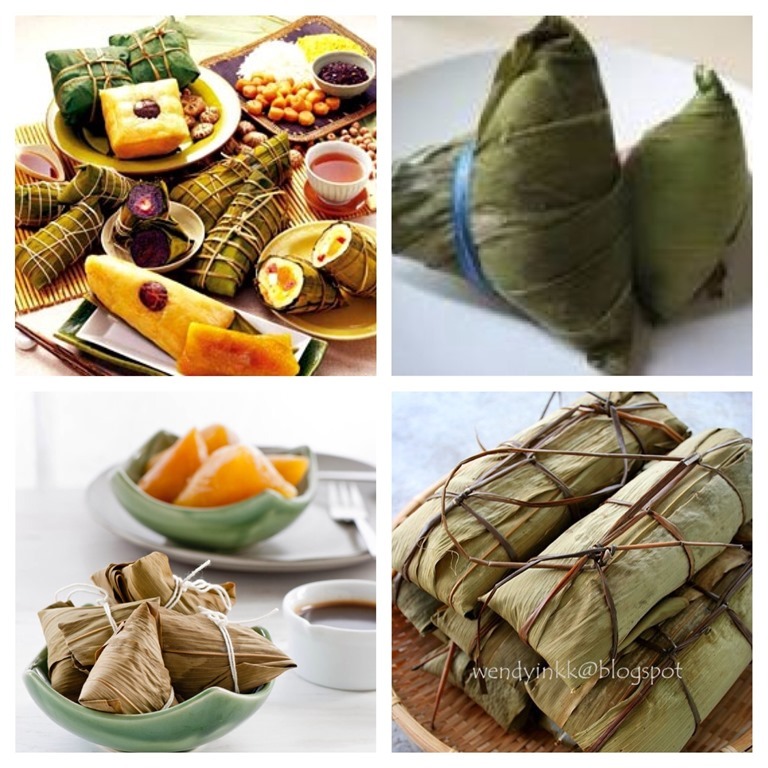 “Zongzi (or simply zong) (Chinese: 粽子) is a traditional Chinese food, made of glutinous rice stuffed with different fillings and wrapped in bamboo, reed, or other large flat leaves. They are cooked by steaming or boiling. 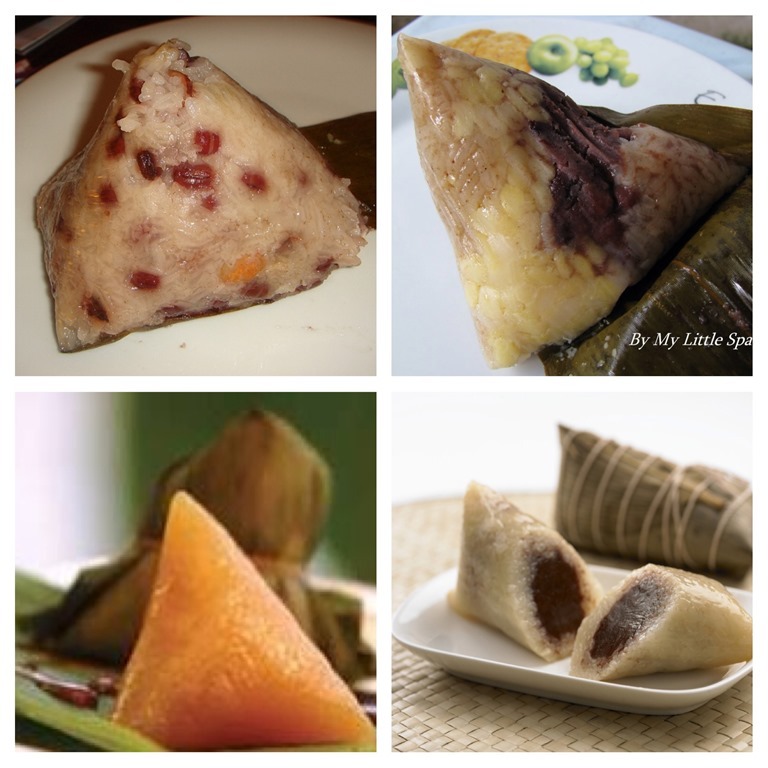 In the Western world, they are also known as rice dumplings or sticky rice dumplings. Therefore, in according to the simple definition, the must have of Chang is glutinous rice and some types of fillings (though there are Changs that don’t have fillings like Kee Chang). Every regions or Chinese dialects group will have their own versions of Chang. As economy are more and more affluence, the fillings were change over the years. The following 2 pictures shows Chang will a few types of fillings. Chang with meat type of fillings. Can you spot an abalone and chili padi in the filings. You can see there are many shapes of Chang and one of them is called the Pillow Chang. But the basic shape is the triangular shaped Chang. Have you ever seen a cone shaped Chang as shown in the last picture? Therefore, one can conclude that Chang can have many shapes and fillings and I would not insist whose Chang is genuine and whose is fake. What can be included or what cannot to be included in the Chang. Nonya Chang belongs to the cuisine of Peranakan communities in Singapore and Malaysia. Peranakans are descendants of early Chinese migrants who settled in Penang, Malacca, Indonesia and Singapore, inter-marrying with local Malays. The old Malay word nonya (also spelled nyonya), a term of respect and affection for women of prominent social standing (part “madame” and part “auntie”), has come to refer to the cuisine of the Perakanans. Nonya cooking is the result of blending Chinese ingredients with spices and cooking techniques used by the Malay/Indonesian community. 4. The usage of other nonya coloring such as the pea flower to color part the Chang into blue or indigo, but part of the rice are still white or light brownish in color as compared to the dark brown color of rice in the Kiam Bak Chang. 5. The inclusion of “sambal” in the fillings and this usually comprises of minced dry shrimps cooked with numerous types Malay spices. I hoped that via this explanation, you can draw your own conclusions as to what are the characteristics of Nonya Chang and understand why it is call “half sweet half salty’ Chang. 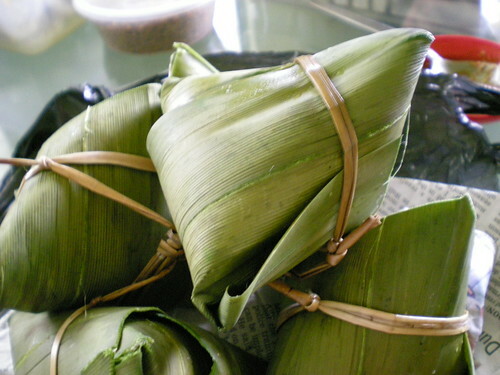 In the above picture, please note that the usage of reed strings, Pandanus leaves, diced or minced type of fillings, blue color of rice, brown dot in the white colored rice (coriander powder), all these are rather typical of a Nonya Chang. The fact that most families are not willing to make their own Chang is understandable and one of the main reasons is the laborious process involved. However, such process can be shortened and I will share with your the simplified steps to make “my” own version of Nonya Chang. Though my mother in law cannot agree with my process of preparation saying that I am lazy but she never complain about the ‘”qualities” of the “final products”. Hopefully, this post will give you another perspective of understand Chang and “design your own Chang”. In Part II, I will share with you the details process in making the Chang. This entry was posted in Food Preparation Series and tagged 8, affection, bak chang, bamboo, Chang, CHINESE, components, cuisine, culture, 端午节，粽子，Peranakans, descendants, Dialects, Dragon, Eastern, inclusion, indication, indonesia, Indonesian, ingredients, Malacca, Malay, Malays, malaysia, malaysia Singapore, Middle, migrants, nonya, Pandanus, Penang, Perakanans, peranakan, postaday, preparation, relationship, rice dumplings, techniques, usage, version, Women, 半咸甜粽. Bookmark the permalink. ← Hey, is that a boot? No, that is somebody riding a horse! Is it? why colour the Chang into blue or indigo? Thought only mix with soya sauce (brownish colour) to make the rice taste salty.. It is traditional to have that blue and indigo color especially with West Malaysian Nonya though not common in East Malaysia. They have a lot of Kueh that have this color. I am ignorant if the inclusion of this color have other purposes besides for coloring and may be a “sign” of nyonya kueh! However, the plant do have some medicinal values.